Welcome back to Amsterdam, this time with the food scene. I am not a professional food photographer but I am a bit of a perfectionist so I do have to apologise for the lack of photos in this post. You are just going to have to trust me! Described by themselves as “adventurous gourmet burger restaurant” I found this place by searching for “Vegan burgers” in to TripAdvisor and doing what anyone would do, find the highest rated one. We arrived out of peak hours (which is just as well as I feel this place would be absolutely packed) This is a small, relaxed american burger shop where you can build your own and have a milkshake as well. They pride themselves on using 100% beef and if you arrive out of peak hours, you can watch your burger being cooked and put together while you wait. I had a mushroom burger and build my own (so I cannot recommend you what to buy!) but two burgers, fries and a drink came in around €20 which really is not bad! Having skipped breakfast (bad!) 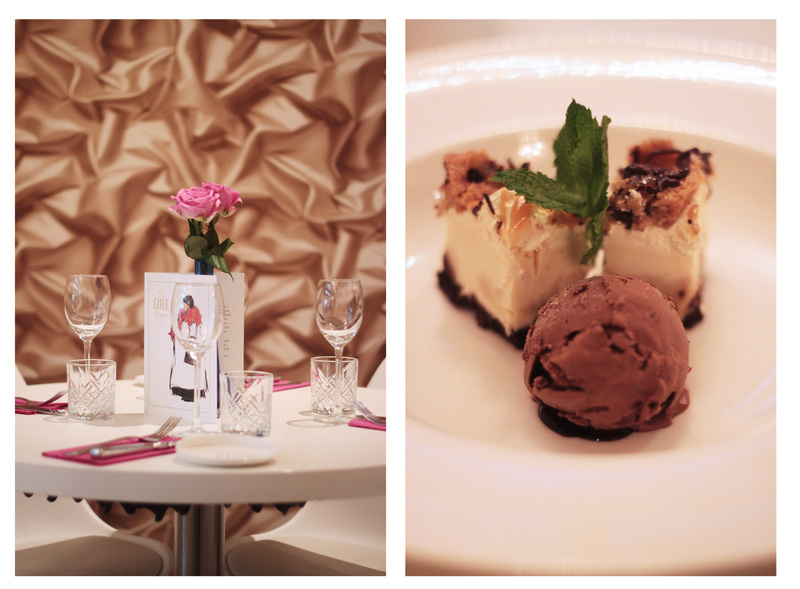 we were craving something sweet and light just before lunch and we came across this place! again, no pretty pictures of this place (sorry!) but it is your standard crepe place with a bubblegum pink wall. I ordered the white chocolate strawberry crepe with a banana and pineapple freshly made smoothie. The staff in here are really friendly and we had a chat with them when we were paying. They also have a great talking point, their tip jar is labelled “President Trump assassination fund.” This place is also open until 3am if you fancy popping in after a night out. Call me cheesy (Haha! Ok, please don’t click off this page for that joke..) but I really love doing things like this when I go away. Like a proper tourist, I always google activities/tours in my surrounding area. This time though, my friend Jade recommended this to me. She loved it and thought I would too. She was right and now I am recommending to you. 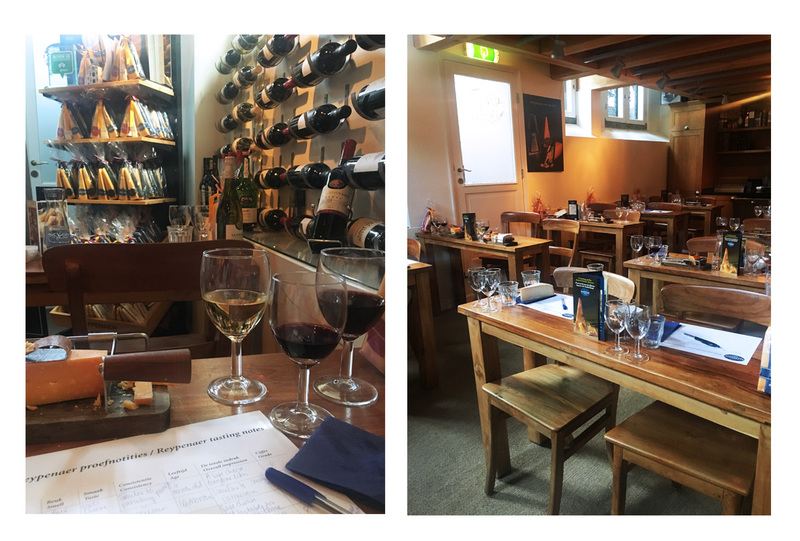 At around €18 per person, you try between 6/8 cheeses, 3 wines and you leave with an official certificate that gets you money off for your favourite one! A good experience to do with your friends or partner. On the main street with the central station in the background, you will find Manneken Pis. In fact, it is really hard to miss. There is always a really long queue! 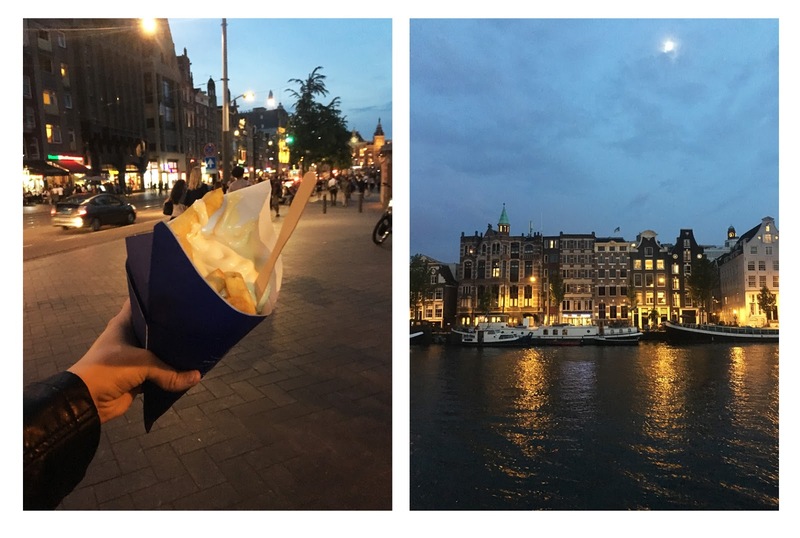 One of the most popular places to get chips & mayo in Amsterdam. Personally, I did not see the hype. Yes, you can pick every flavoured mayo on them imaginable but they put so much that you can’t actually taste the chips. It’s worth a try (as they are cheap for a single portion!) but I came across a much better individual business on my food tour. Another place with a queue but so worth it. I had walked past this place several times and swore that I would go in there at least once on this trip. I queued in the light rain with several other couples for a table. I did not have to wait long, around 20 minutes maximum. Once taken inside, the atmosphere is very cosy. Decorated like a small independent farmers restaurant, the staff are super friendly and you are handed a wooden menu. I went for the Popeye €7,95 (Spinach, Mushrooms, Onion, Farmers cheese and Oregano) and a simple orange juice. Although you queued outside for the table, the staff never make you feel rushed. I really recommend visiting this place if you get the chance. Vlaams Friteshuis Vleminckx– Address: Voetboogstraat 33 – Truly the best fries in Amsterdam! SumSum Amsterdam – Address: Heiligeweg 7 – Sesame seed dessert, A weird experience but tasty! You can go in and try before you buy. Hema – Address: Jodenbreestraat 11 – We tried the Rookwurst. The original hot dog of Amsterdam and super cheap at €1,50. Even I tried a bite of this. Thoroughly recommend. 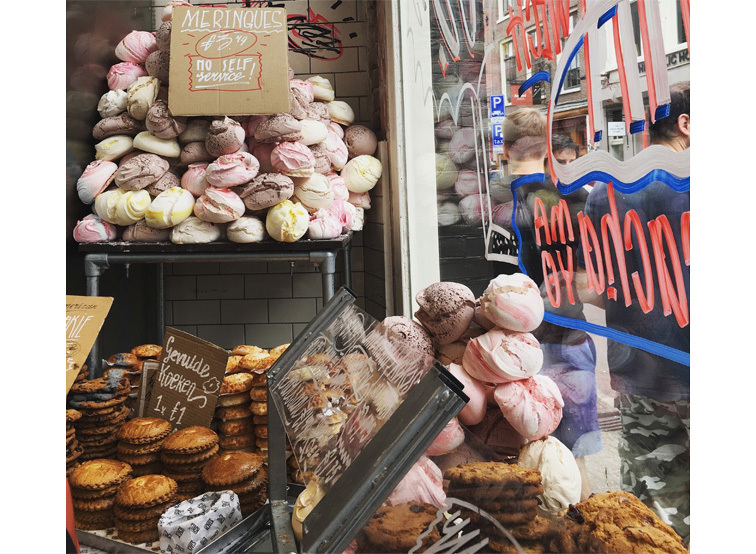 Lanskroon (bakery) – Address: Singel 385 – The ultimate place to grab the Dutch Waffle (Stroopwafel). This place is run by a lovely modest family who give most of their income to charity and back in to the community. You can choose between having honey or caramel in the middle of your Stroopwafel. I tried both and I recommend both! Luciens Pancakes – Address: Sint Luciënsteeg – The pancakes in the photo above. So moreish and tasty and available all day. We also visited a fish mongers and Reypenaer cheese on this tour, but I did not dare try the pickled Herring! That’s it from the food tour! We had small portions but I was so full by the end of it all. I really recommend doing something like this when in any country. The guide is also usually lovely enough to give you a brief history of the place too! A cute and cosy little café with a really great bonus – Cats! I wrote about this cafe in my previous Amsterdam post. We found out about this place by having a chat with our tour guide from Amsterdam Adventures! Last but not least.. The Garlic Queen! A restaurant where everything is garlic. I was expecting it to be really busy and hidden but it was neither of these things (Opening hours: 12.30pm – 14.30pm and only 17.00pm – 23.00pm) I am not sure how I heard about this place but when I read “Garlic Ice cream” I was like yes! I need to try this. For dinner I just had extremely garlicy pesto. I also tried my friends Garlic Beer. Dessert was my main focus though. I ordered a cookie dough cheese cake (no garlic) with chocolate garlic ice cream. It is not that bad. A lot of people cringed when I told them but I would say definitely give it a try. The best part is, one scoop is enough and you cannot over indulge as it gets quite sickly! Definitely give this a try if you love Garlic. …And that’s a wrap (I’m sorry, had to squeeze in one more food pun) from Amsterdam. I am bound to go back at some point so if you think I have missed any places from here, please let me know! I wanted to try a different side to Amsterdam than all the popular places you see on Instagram. As you know, popular does not always mean good!